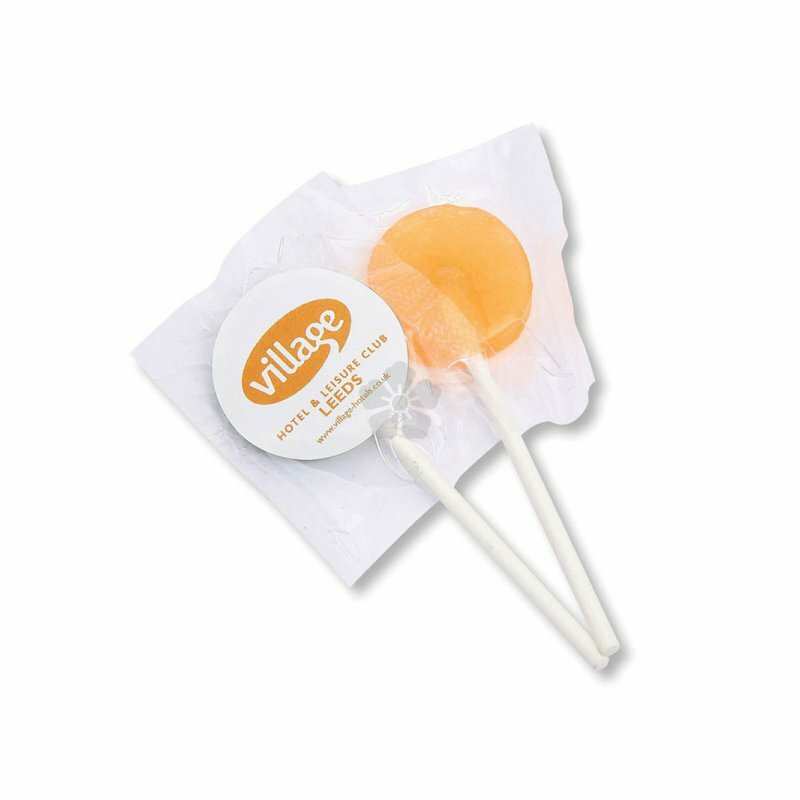 Treat your taste buds with our custom printed Mini Lollies with Labels. 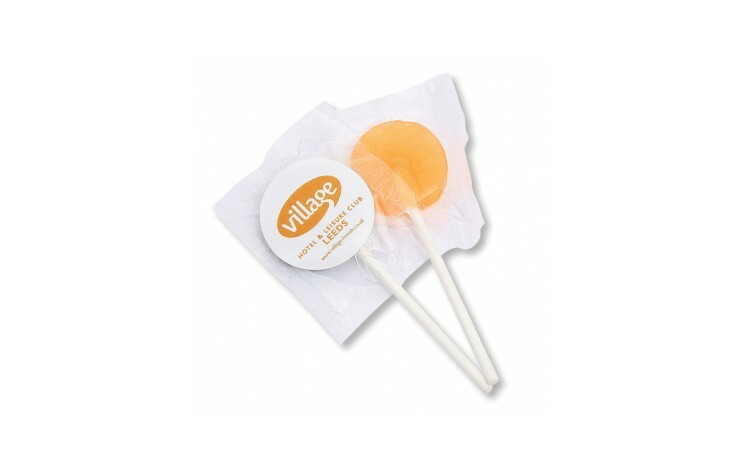 These small fruity lollies are personalised in full colour as standard with a label to the front of the wrapper. 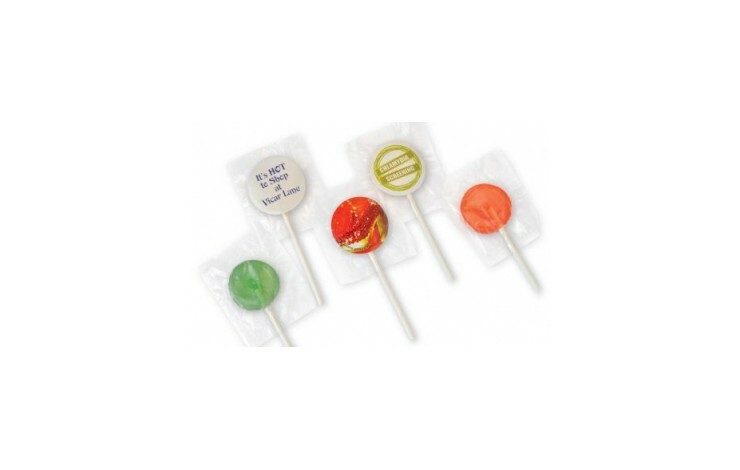 Wide range of flavours are available. Made with natural colours and flavours. 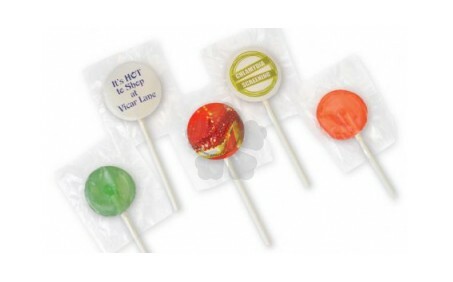 Supplied with an assortment of colours & fruit flavours. Held in the UK for a quick lead time.